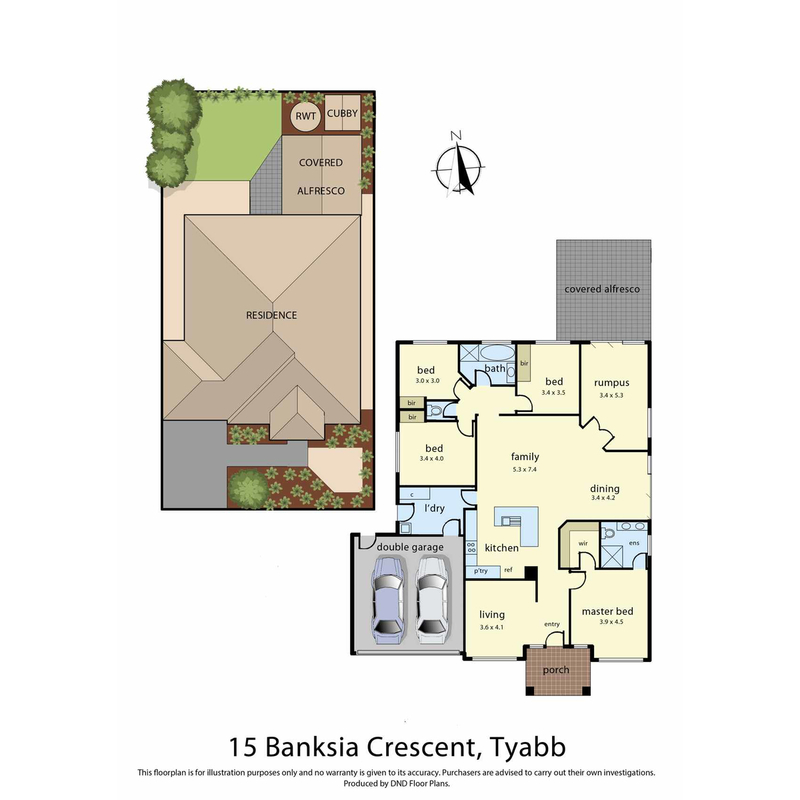 Modern masterpiece in the heart of Tyabb! This delightful family home provides fabulous living zones that the whole family will enjoy. Comprising of; generous lounge, huge open plan family room with meals area, hostess kitchen including 5 burner gas cook-top, dishwasher and pantry, 4 large bedrooms, divine master bedroom with big walk-in robe and en suite, plus separate rumpus room. There is a double lock-up garage with internal access, gas ducted heating and split system cooling, large outdoor entertaining area with pergola and a fully fenced yard for the children and pets to play. Don’t miss out, quality homes such as this one are selling fast so please call for full details now!